Under the EPA SNAP regulation, new policies have been instituted to control the use of refrigerants. The aim is to protect the environment as well as human life from pollution and excessive use of harmful substances. The EPA SNAP review issued guidelines on the use of different substances that can impact on the environment. The Clean Air Act criminalizes the deliberate release of ozone-depleting refrigerants while maintaining, disposing, repairing or servicing refrigeration equipment citing the need to reduce ozone-depleting refrigerants. On November 9, 2015, a rule regarding the refrigerants management was published. This was an amendment that was made to the Clean Air Act 608, which addresses specifically refrigerant management. 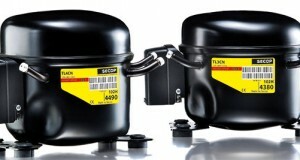 The rule was meant to update the existing regulations while also extending refrigerant management program regulations. Under this EPA SNAP update, the points that were presented forward for consideration were as follows: the strengthening of leak repair regulations, coming up with a recordkeeping system for appliances disposal that contain 5 to 50 pounds refrigerant, to amend the technician certification program as well as offer a better version of the regulations for readability and understanding. Consequently, this action would help minimize emissions of ozone-depleting substances. There are various risks associated with the application of refrigerants in air-conditioning and refrigeration equipment. According to the EPA SNAP, such risks include toxicity, flammability, and physical hazards. Although refrigerants have been proved to bring about most of these risks, the EPA SNAP recommends a system redesign for efficiency and purification, having engineering controls as well as applying other techniques for the equipment to minimize emissions. Apart from having the right thermodynamic properties, a good refrigerant should be nontoxic. It should not be flammable and must prove it’s stable while used in a system. Self-lubrication is also another point highlighted by the EPA SNAP, also citing the refrigerant should be compatible with various types of lubricants. The materials used should also be easy to handle and should offer a low cost system that can offer the required efficiency levels. Developing the ideal refrigerant is not as easy as most people would imagine, but manufacturers are working to meet as many properties as possible in line with the regulations.